If you have any kind of interest in baseball memorabilia, you’ve likely heard stories of some of the huge paydays sellers have realized for specific items. 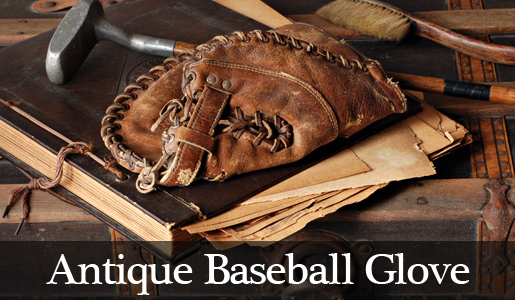 Serious baseball collectors are always looking for specific items to add and willing to pay a small fortune to get them. Below are some of the most outrageous prices ever paid and the specific piece of baseball memorabilia attached to them. Here’s an outrageous price for you. It was a 1920 New York Yankees baseball jersey worn by Babe Ruth himself, and someone paid $4.4 million for it. That’s correct, a baseball jersey. No pants, no hat, just the jersey and $4.4 million. However, it was apparently the oldest known jersey of Babe Ruth’s still available, so that’s something, right? Back in 1998, Mark McGwire was playing for the St. Louis Cardinals and managed to hit a staggering 70 home runs during the regular season. Equally as staggering was the price paid for the 70th home run ball, which was $3 million by the creator of the Spawn comic book series, Todd McFarlane. He also reportedly shelled out another $300,000 to get the 67th, 68th and 69th home run balls so he’d have the whole collection. The famous Honus Wagner baseball card is renowned for its value and the desire of collectors to get their hands on it. Apparently, back when cards were inserted into cigarette packs, Wagner, who was anti-smoking requested that his cards not be included. Once that happened, the value skyrocketed and since there are 57 known to exist today, the value remains high. One of the more recently sold cards went for $2.8 million. The original Yankee Stadium was known as “the house that Ruth built,” and the bat from his very first home run there is an item any collector would savor. In 2004, that very bat sold for a whopping $1.3 million at auction. Babe Ruth seems to be all over the outrageous baseball memorabilia payments list, and the contract that sold him from the Boston Red Sox to the Yankees is another popular item. This famous piece of paper sold for $996,000 at an auction in 2005. When Babe Ruth supposedly pointed to the outfield bleachers and then hit a home run to that same spot on the very next pitch during the 1932 World Series, another piece of the legend was born. Whether he actually “called his shot” or not is up for debate, but the jersey he wore when he hit the home run sold for $940,000 at a 2005 auction.